Customize and use these Charger Tech Tattoos on your chargers or keyboards and stand out from the competitors in the marketing arena. Made of ultra removable white vinyl, it comes with a full color digital imprint. It sticks on strong and can be easily removed without leaving any residue. Imprint your brand logo and message on the tattoos; and give them away at tech exhibitions, seminars, and conferences. 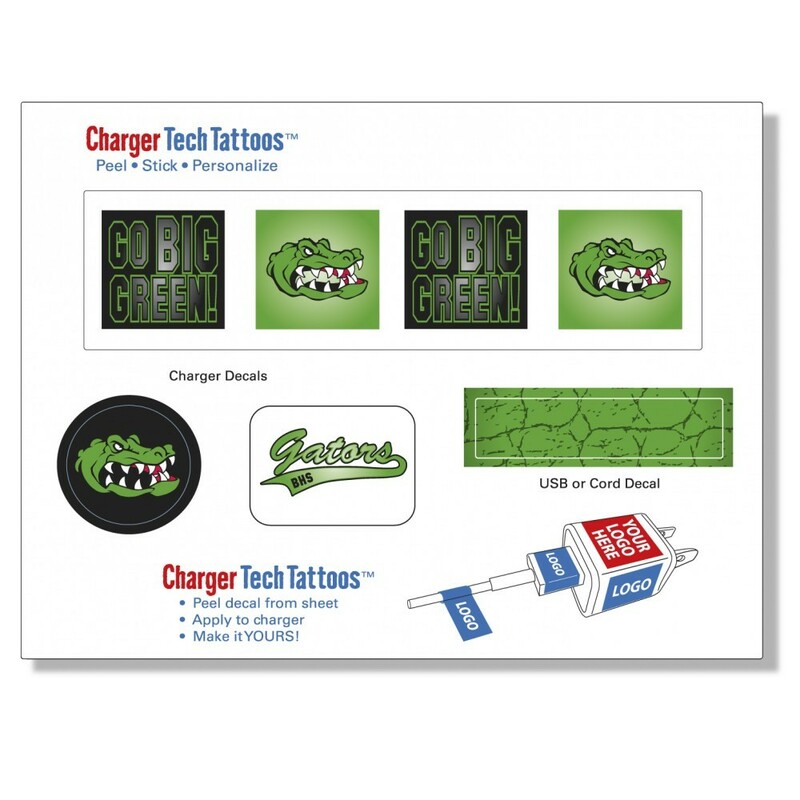 Get your brand easily noticed by potential customers with these Tech Tattoos from Gill-line.